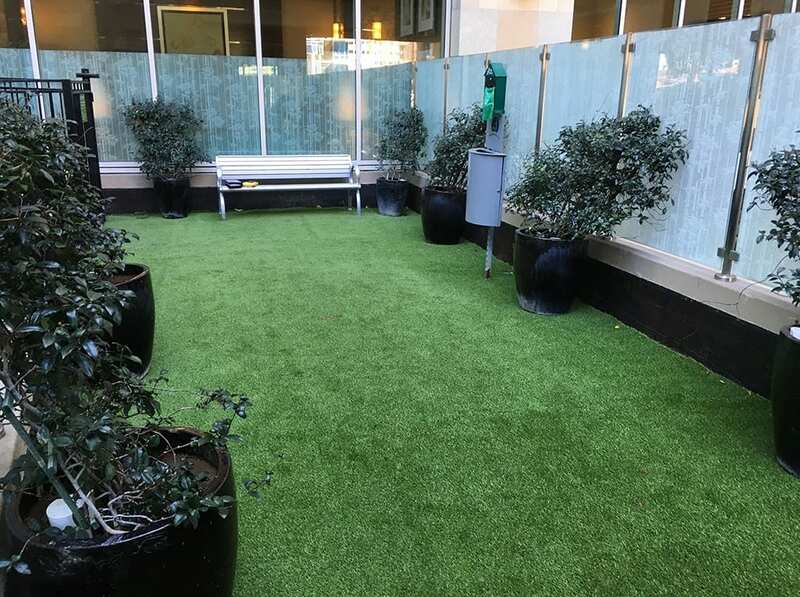 Challenged to provide a fully functional play and potty area for their pet owning residents, the owners of Vantage Point Apartments had a “pet friendly” artificial grass solution installed. Challenged with unwanted odors from the turf, the owners reached out to ForeverLawn® to correct and replace the previous faulty product and installation from another company. The creative team at ForeverLawn Pacific Coast utilized a pedestal system over which to install the K9Grass® so that pets and their owners can enjoy the turf without the unwanted odors that were arising previously.